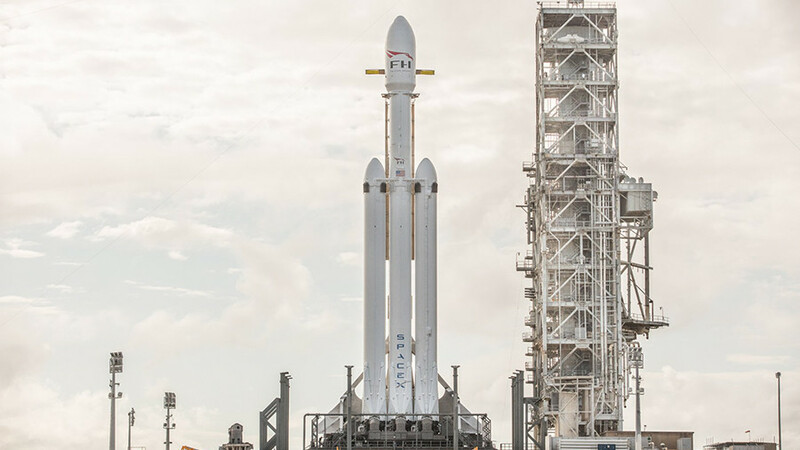 The first car was launched into space earlier this month on board SpaceX's hugely powerful Falcon Heavy Rocket. New projections for its orbit, however, suggest the Tesla Roadster may one day make a fiery homecoming. The $100,000 vehicle will, in all likelihood, continue its journey through our solar system for tens of millions of years unhindered, simply gathering some scuff marks courtesy of micrometeorites and cosmic debris. However, it appears that the sportscar, piloted by 'Starman,' a dummy wearing a SpaceX suit, will actually pass closer to Mars than to the asteroid belt, increasing its chances of a direct collision course with Earth. The sun's gravity will draw the car back in again to an elliptical orbit that will repeatedly crisscross the orbits of Mars, Earth and Venus until it eventually – most likely after millions of years – befalls some cosmic doom. However, three astrophysics researchers, Hanno Rein, Daniel Tamayo, David Vokrouhlicky, have calculated that the roadster has a roughly 6 percent chance of colliding with the Earth and a 2.5 percent chance of crash-landing on Venus sometime over the next million years. After 3 million years, the chance of impact rises to 10 percent. 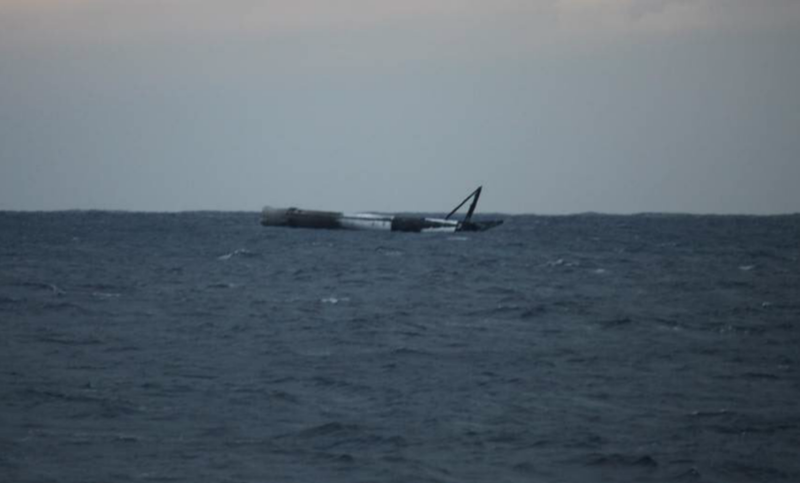 Beyond that, though, the trio gives the Roadster 50/50 odds of surviving in space for tens of millions of years. 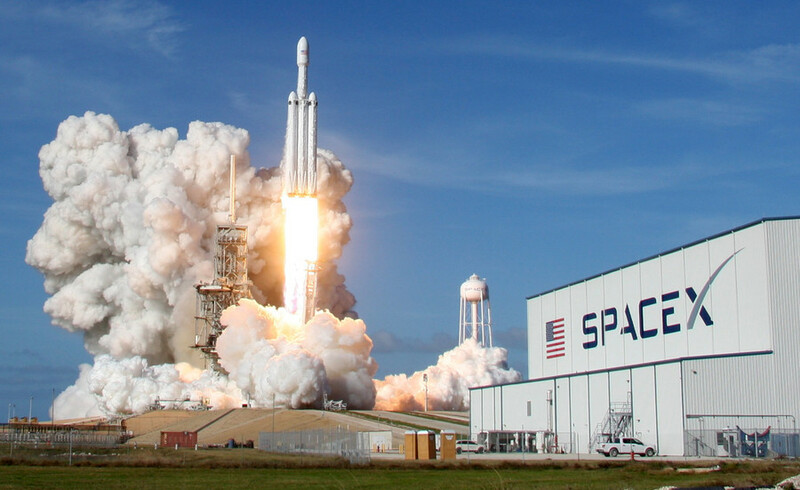 Elon Musk has sent his Tesla Roadster into space aboard SpaceX’s Falcon Heavy rocket, which successfully launched on its first-ever test flight. 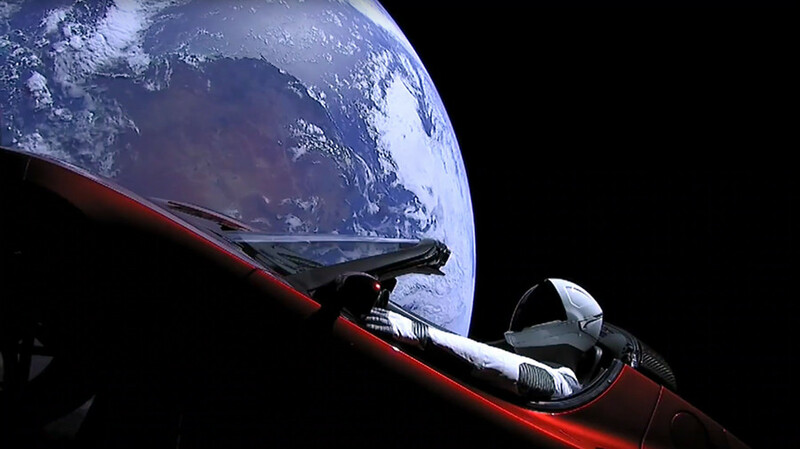 “When we saw the launch last week we thought, ‘Let’s see what happens.’ So we ran the [Tesla’s] orbit forward for several million years,” Hanno Rein of the University of Toronto in Canada told Science. 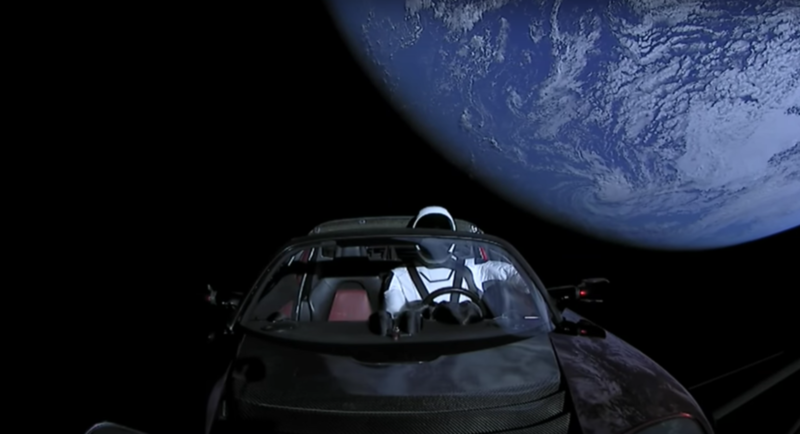 The Roadster’s first ‘close encounter’ with the Earth will be some time in 2091 but, thereafter, its orbit is almost impossible to calculate given its rotation and several other factors which will create tiny differences in trajectory that translate into huge course adjustments over time. Astronomers from the University of North Carolina at Chapel Hill used images from the 4 meter Southern Astrophysical Research (SOAR) telescope in Chile to produce a timelapse video of the roadster as it hurtles through the void of space. For context, the car is believed to be rotating roughly every five minutes. Others, such as self-professed ‘Space nerd’ Ben Pearson, inspired by the most powerful rocket mankind has produced since the Saturn V brought the Apollo astronauts to the Moon, have even produced websites dedicated to charting Starman’s progress through our solar system. WhereIsRoadster.com uses data provided by NASA’s Jet Propulsion Lab’s HORIZONS System to calculate the car’s latest trajectory. Fear not, though – even in the extremely unlikely event that the Tesla Roadster does come hurtling towards your distant descendants, the risk to life on Earth is essentially non-existent.